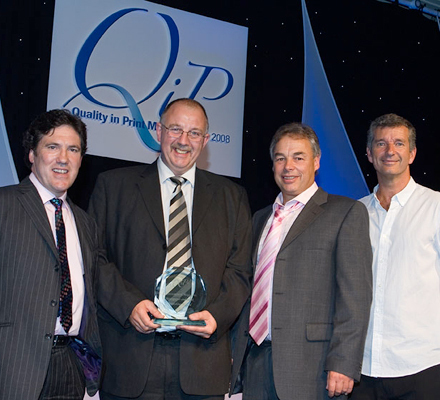 The Press picked up first prize in the "Environmental Magazine, Newspaper and Book Publishing Award" category at the recent Quality in Print Media Awards. Beating off from companies such as Acona/PREPS, Haymarket Media Group, Penguin Group UK and Reed Elsevier, the Press was honoured with the award due to its impressive record of implementing, or already having achieved, many green initiatives. Environmental practices have been the norm at Cambridge University Press long before they became fashionable. 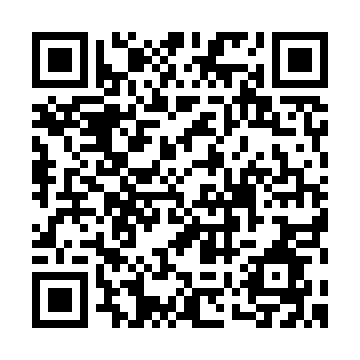 These practices were further refined in 2007 in order to achieve the ISO 14001 standard for manufacturing. We were the first UK publisher to do this. The judges were impressed by the Press’s 11% reduction in greenhouse gas emissions in 2007, a year in which we also recycled 92% of waste. Other initiatives that drew praise included: the purchase of alcohol-free presses; the use of vegetable based inks for 90% of inks used; the car sharing and pool bike schemes; and the 500% increase in the number of FSC titles. 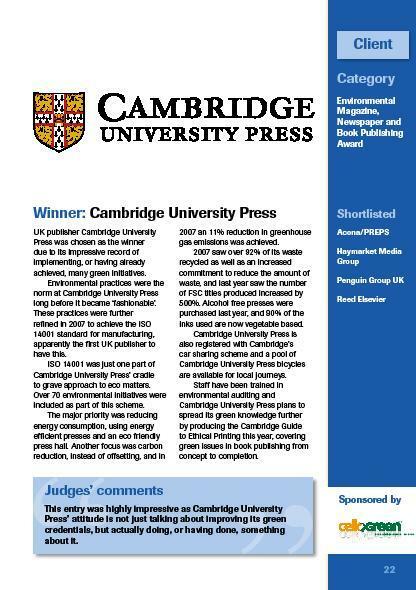 This year, the Press plans to spread its green knowledge further by producing the Cambridge Guide to Ethical Printing, covering green issues in publishing from concept to completion.